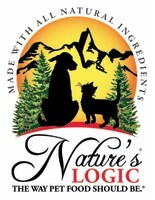 Thank you to everyone who entered to win Nature's Logic Natural Dog Food! This 100% all natural line of dog food is one that you can feel great about feeding to your dog. Congratulations to Amy, who picked the Raw Frozen Chicken for her pack to try. We can't wait to hear how they like it! stay tuned for our official Nature's Logic review coming soon!